For many people, their home isn’t just a house. 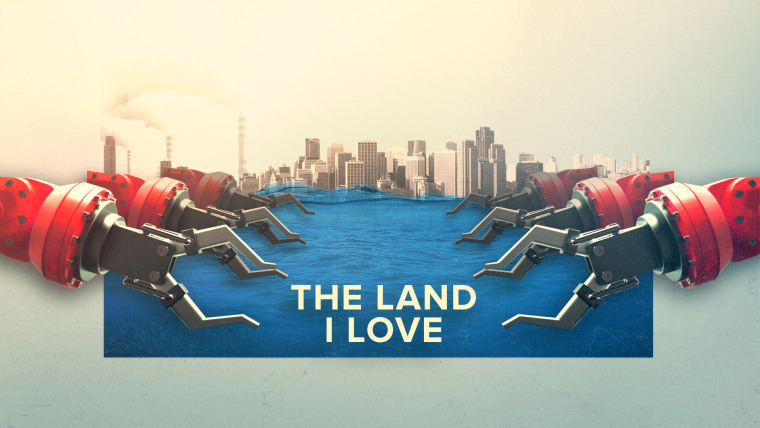 It’s the land that has been in their family for generations. It’s the environment they try to protect and the way of life they hope to preserve. And when these homes are put in danger, people must decide how to respond and adapt. These films examine how homes reflect who we are, our likes and dislikes, as well as our struggles and triumphs. On July 4, 2017, North Korea tested a long-range missile that, for the first time, would be powerful enough to reach the United States — specifically, the great state of Alaska. And instead of the doomsday preparations you might expect from a place threatened by nuclear annihilation, Alaskans collectively…shrugged. Directed by: David Freid. The community of Isles de Jean Charles, Louisiana are fighting to survive as their land sinks into the encroaching waters. Now, winning the first of its kind multi-million dollar grant for a climate resilience project may help them survive and their community relocation may provide a template for the future. America's evangelicals have traditionally been the bedrock of conservative politics, including on climate change. But a loud debate is happening across the country, with some evangelical Christians protesting in the name of protecting the Earth, seeing it as a duty to be done in God's name. With stories from across the country showing the conflict between generations, races, and classes, could it be a surprising section of Christian America that might show hope for the country's attitude to climate change?